The market surveys related to the Motor Challenger initiative revealed that, in Italy, as much as 12 TWh electricity are absorbed to supply power to compressors in the industry. This represents 11% of total energy consumption for production processes on a national scale. This means that, although air is free of charge, the operation of compressors has a significant impact on costs and environment. 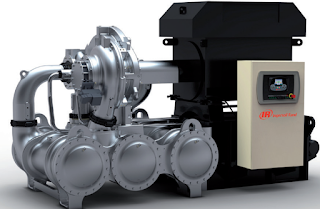 For this reason, for a few years now, Ingersoll Rand, a leader in the production of centrifugal compressors, has created a team focused on the reduction of power consumption. A pool of experts with different experience and professional skills, led by the Italian Controls Manager Fiorenzo De Vecchi, formed the Ace Team (Ace is the acronym for “Affidabilità Controllo Energia,” i.e. “Energy Control Reliability”). As De Vecchi explains, “Compressed air is essential for several production processes and, for this reason, the reduction of consumption and, most of all, waste is a goal that cannot be separated from the necessity to guarantee the reliability of our equipment.” Leveraging new technology and constant innovation investments by Ingersoll Rand, this equipment is at the leading edge of innovation. However, mechanical innovation is relatively slow and, as a result, performance seems basically equivalent to the standards offered by the best competitors on the market. From an energy perspective, the real differentiator is the capacity to optimize equipment management. As a matter of fact, compressors are designed to deliver their top efficiency within a narrow operating range. The reason is that, in order to produce compressed air while avoiding any waste, the equipment should run at a specific number of revolutions, so that temperature within each compression stage is kept at optimal levels. These results reached the ears of Franco Maretoli, plant manager at the Noyfil site in Andalo Valtellino, a Radici Group company specializing in the production of polyester fiber for the textile industry. In the past decade, this industry has been suffering hard from the competition of markets that can offer similar products at much lower prices than Italian goods. Nevertheless, Noyfil has minimized negative effects by focusing on product quality and on the capacity to reduce costs. 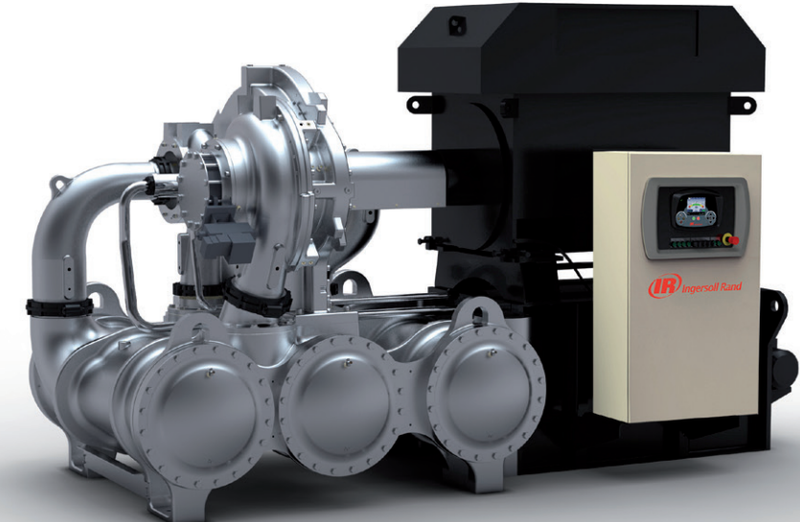 Maretoli asked the support of Ingersoll Rand’s specialist engineers to optimize compressed air consumption. Market instability, combined with highly variable compressed air demand along six production lines, actually translated into low efficiency in the use of available compressors. To meet production requirements, while preventing possible shortages in compressed air supply to the industrial process, more air than necessary was produced, with a consequent waste of energy. From Measurement to Saving The monitoring activity carried out by Ingersoll Rand engineers supported by Wonderware indicated that the available machinery was oversized for Noyfil’s actual needs. This caused useless energy waste, which could be reduced only by means of a “buffer” reservoir for the temporary storage of compressed air in excess. However, this solution required significant investments, as well as the installation of a potentially hazardous structure and, consequently, the need to adopt a number of measures to guarantee the safety of operators. Ferrari suggested installing just one small compressor that could handle all variations in energy requirements. But the real turning point was the innovative motor management system based on Wonderware InTouch HMI, a solution that guarantees high reliability with over 300,000 installations worldwide. All of this with the additional benefit that operators can check the operation and status of all machines in real time. A standard market platform also allows the system to interact with compressors from competitive vendors, as it uses the Modbus communication protocol. The control software can constantly monitor over 90 parameters of the compressors, including temperature, oil pressure, and vibration intensity in each stage, cooling fluid flows and power absorption. 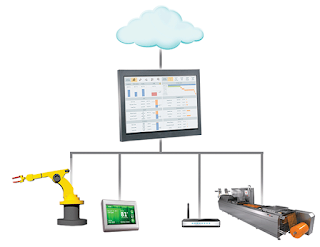 At the same time, by communicating with the PLCs of each production line, the software collects compressed air demand and, in some cases, also predicts future requirements. Based on these values, compressors are turned on and off individually with a smart management process based on real needs. All information is then transferred via Ethernet to the maintenance manager’s office, who can view the situation in real time without having to check each piece of equipment personally. In this way, all compressors in the factory are managed automatically and their operation is no longer entrusted to the decisions of each operator, but to a system designed to avoid any waste. Such capability leverages the computing power of InTouch, which can convert energy consumption into economic values, so that the user can easily verify that consumption levels match the reference values. Few months after the installation of the supervisory system, the end customer achieved approximately 8,000 Euro/ month of savings on the energy bill compared to the previous year.